When you have a gifted child, you may worry that she will get bored and lose her fire to learn. While you want to keep her challenged and stimulated, you also don't want to become a parent who pushes their child too much. That could lead to rebellious behavior or even an aversion to learning. The end result can be a bored or even resentful child who may start acting out. Very often, the problem isn't that parents are too pushy, it's that they are being dragged by their gifted child—you struggle to keep up. Your child has what some refer to as a "rage to learn." That means that they seem driven to learn. They need little or no encouragement to learn, particularly if the subject is something they want to learn about. Of course, for them to want to learn about it, they must know about it, so parents can introduce their child to new subjects. That's not pushing, either. One example is a boy about 30 months old who wants to read. He has already "broken the code" and is able to read simple phrases. In fact, he is starting to read easy readers. But he can't get enough reading and would read absolutely anything and everything, including billboards and the sides of trucks. 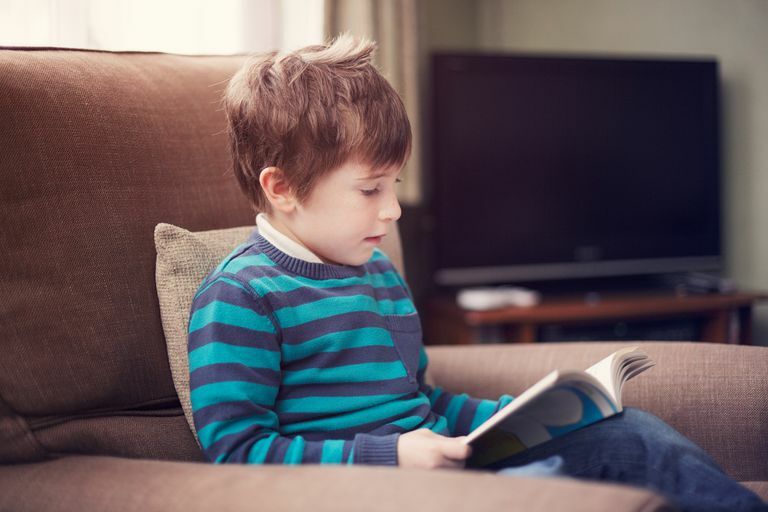 To support his interest in reading, you could take him to the library at least once a week. It's likely that you wouldn't need to force him to go, he will probably be the one begging for you to take him. Many people, teachers among them, don't understand this rage to learn and will tell you to stop pushing your child. As long as your child is the one initiating the desire to learn, don't pay attention to those critics. Do want you can to nurture your child's interests to keep her challenged. If your child is a toddler or preschooler, there are ways to keep your child stimulated at home. Be sure to introduce a variety of different types of areas to explore. Beyond language, letters, reading, numbers, nature, and science, also think about introducing art and music. If your child is about to start school or is already in school, you can determine whether the school is a good fit and therefore likely to be a challenging and stimulating environment by carefully evaluating the school and its programs. Whether your child is in school are not, there are good ways to nurture his or her abilities. Besides following their lead, encourage them to expand their interests and find creative ways to explore them. For example, a child interested in chemistry can have fun cooking. Look for outside activities provided in your area as well as keeping your home stocked with resources. It's natural to worry about whether or not what you are doing is pushing rather than challenging or nurturing your child. Your child should be the one who is pushing you to provide more. If they are showing reluctance, you may indeed be overstepping. Use this as a cue to let them lead.